Looking for a special Mother's day gift for the grandma in your life? Our engrave wooden key chains will make a prefect gift for the grandma to be, for grandma on her birthday, the holidays or just to say I love you Grandma! 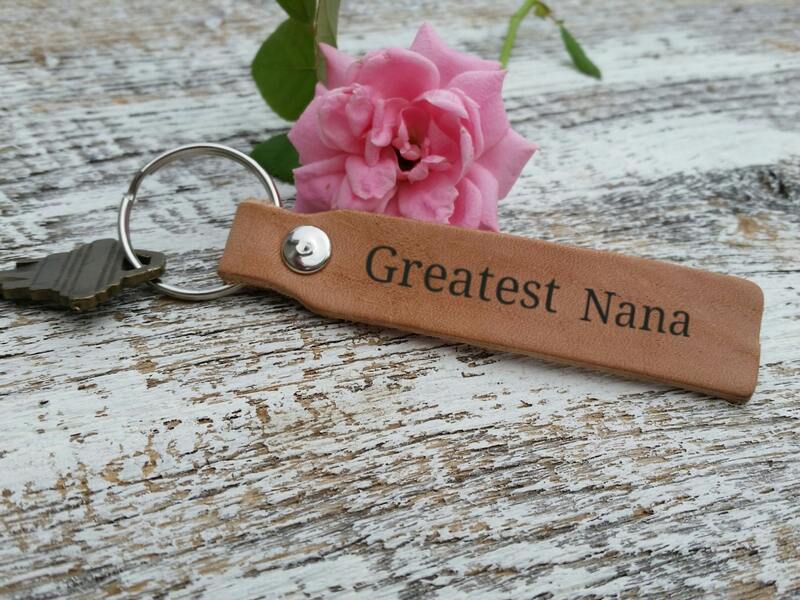 Each key chain is engraved with "Greatest Nana" or custom engrave with your choice of words. Back of keychain is felt. If you would like to add the name from who the keychain is we can do that for you.